The Nestle Compat Sandoz Replacement Balloon Gastrostomy Tube 22 FR , Model #8742200, is anchored in advanced science and research. Nestle Healthcare Nutrition offers nutritional solutions for people with specific dietary needs related to illness, disease states or the special challenges of different life stages. 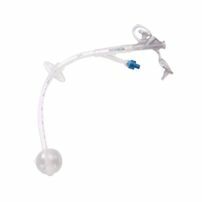 The Nestle Compat Sandoz Replacement Balloon Gastrostomy Tube 22 FR was developed with Nursing Input for Long Service Life. All Compat Replacement Balloon Gastrostomy Tubes are packaged sterile.